Join us in celebrating Oregon’s commitment to quality, integrity, and community. 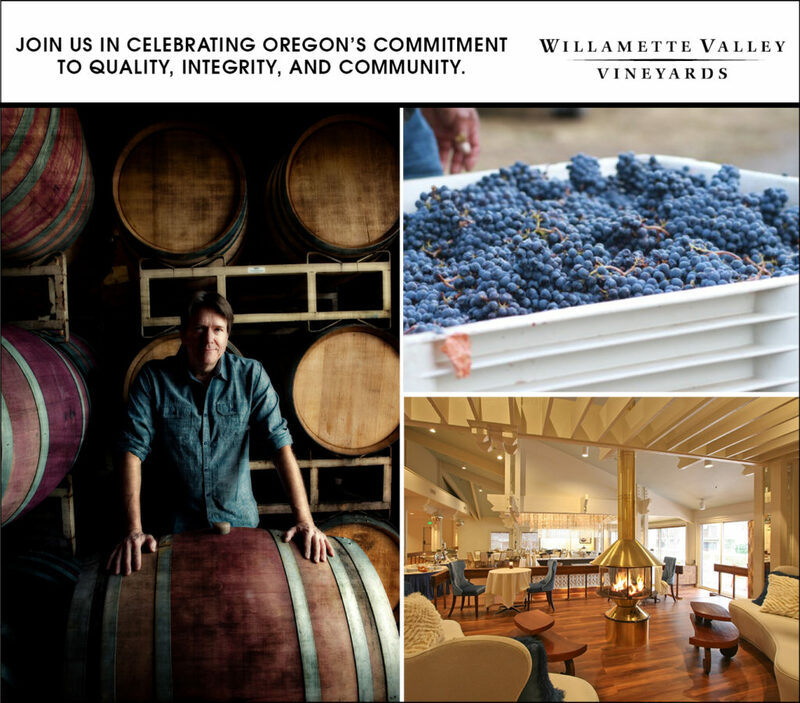 Hear from event host, Willamette Valley Vineyards Founder, Jim Bernau as he tells the story behind Solidarity Wines and speaks intimately about his newly released wine Pere Ami, in honor of his father. Experience an all-inclusive, four-course dinner event paired with these limited release wines. The evening begins with a champagne reception followed by a night to remember. We look forward to you joining us. After an evening of wine, retreat into comfort with a cozy overnight escape. Enjoy 15% OFF hotel stay. The perfect wine getaway! Rates start at $102 for a King Room. “During September of 2018, in the middle of harvest, Rogue Valley winegrowers were notified their fruit contracts were canceled just days before scheduling to pick. A large, out-of-state winery, had rejected over 2,000 tons of fruit, $4 million of contract value, citing smoke taint from the season’s wildfires. Willamette Valley Vineyards and King Estate Winery teamed up to help winegrowers whose grape contracts were abruptly canceled. Independent laboratory analysis showed much of the crop was well below the threshold to be adversely affected by smoke. The two wineries purchased as much stranded wine grapes as possible, paying the full contracted rates to help the growers. They were joined by Silvan Ridge Winery and The Eyrie Vineyards to collaboratively make a Rogue Valley AVA labeled Pinot Noir, Chardonnay and Rosé of Pinot Noir called Oregon Solidarity. The net sale proceeds from the wines will be donated to the Rogue Valley Vintners to help support vineyards in the region. Event Cancellation Policy: Please note, all ticket sales are final, however, tickets are transferable to another party in an event that you are not able to attend.